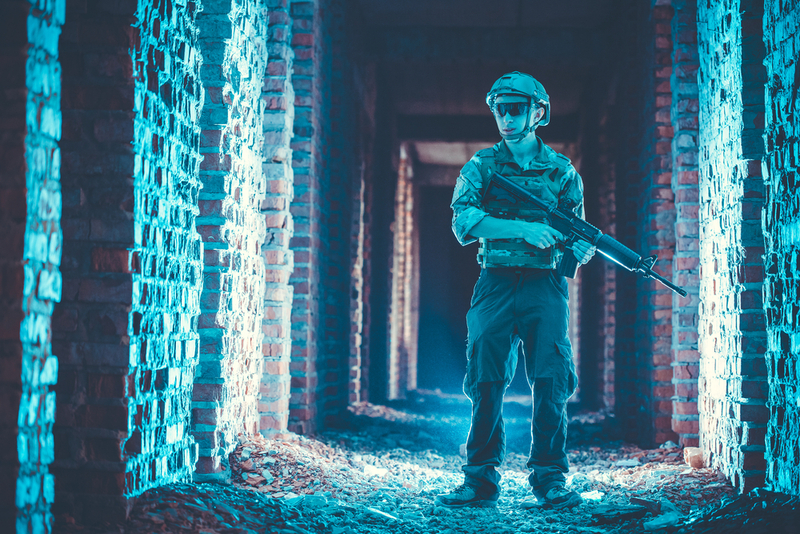 The predominance of cloud-based technology in the defense industry is rapidly growing and its ability to shape the way we train warfighters today and tomorrow is undeniable. This is especially applicable to the concept of point-of-need (PoN) simulation, thanks to the flexibility that cloud-based visual systems provide to warfighters around the world. However, with new practices and procedures come new challenges and hurdles. Modern Military Training (MMT) Editors: Tell us a bit about point-of-need (PoN) simulation and how that benefits warfighters in ways that other simulation tactics don’t. How does a cloud-first approach support this practice? Jeanette Ling (JL): PoN simulations benefits warfighters by allowing for specific mission type training and are more relevant and timely to the task at hand. It also reduces overall cost by not requiring that trainees move to static facilities, and in turn, simplifies scheduling efforts. There is also some thought that soldiers will train more given this type of environment, as they can train when they have down-time on their own, or in teams, and not rely on a rigid, scheduled service. Cloud-hosting of visual system components supports this practice by decoupling the user from having to be physically near a dedicated, on-premises visual system. The flexibility offered by the cloud lays the groundwork for military branches to take advantage of the benefits mentioned above. 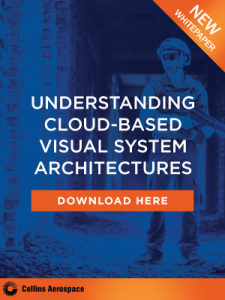 MMT Editors: What are the top three benefits to the warfighter with regards to a successfully implemented cloud-based visual system? JL: In addition to PoN simulation, which is a primary objective, an important benefit is the ability to quickly and easily disseminate new information to many widely-dispersed users, such as the latest database updates for a region from drone reconnaissance. More training that is directly relevant to their unique situation can also be offered to more people. It’s also important to consider the notable cost benefits that cloud-based visual systems enable. This expands beyond procurement into the logistics of organizing the training efforts, and travel time away from the unit. MMT Editors: What are the most pressing challenges that come with implementing a cloud-based visual system? JL: Security of the cloud is a huge challenge on its own, but performance and deployment challenges also come to mind. With regards to performance, network latency and bandwidth present the larger hurdles. They both vary widely depending on many factors like physical distance between the user and the cloud, connection type, network typology and routing. It’s critical to understand the dependencies between distributed visual system components, the latency tolerance of visual system components, and the functional ramifications of network latency and bandwidth if visual system components are distributed apart from one another. It’s a balancing act to find the right combination between effective use of cloud resources, while providing acceptable performance and user experience, such that a program’s objectives are met. What cloud-resources are appropriate for the program’s objectives, public cloud, private data center(s), and/or edge resources? What sort of network topology and connectivity is required to meet the program’s objectives? How is effective PoN simulation made available on a potentially huge variety of edge devices? Only when those questions are answered is the deployment of a cloud-based visual system ready. MMT Editors: How can a cloud-based visual system most quickly and effectively be implemented? JL: The quickest way may not be the most effective way. The easiest way is to put the full visual system in the cloud and stream video to the user’s edge device, but that will not meet the requirements for many use cases. Most use cases will need the connecting network between the cloud resource hosting the visual system and the user’s edge device to be fast (short network latency) and have sufficient bandwidth to support the required resolution at the required update rate, so the visual system does not feel sluggish to the user. Poor network connections between user and cloud-based visual systems limit applicability or forces the organization to build data centers and/or network infrastructure to guarantee adequate network connectivity. The most effective way, however, is to have a visual system with components that are capable of being distributed across public cloud, private data center, and edge resources in a manner that meets the objectives of the user. This means allowing targeted and effective use of cloud resources without compromising important use case requirements. MMT Editors: Anything else you’d like to add? JL: Users should realize that having a cloud-based architecture is likely to still require some level of support from an IT perspective at the PoN/edge. There are interesting challenges ahead including channel synchronization for multi-channel simulations, investigations into latency mitigation technology, effective deployment, and integration with other simulation components required for distributed training scenarios, beyond just the visual system, like hosts, SAFs, LVC.